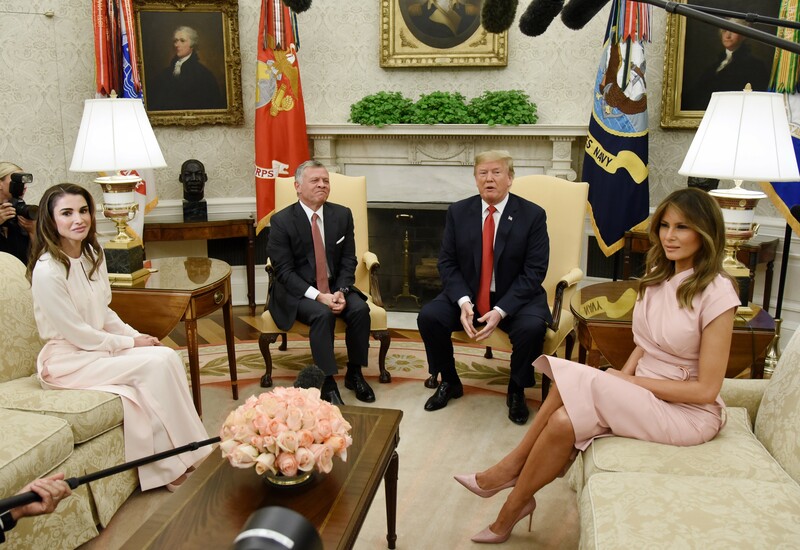 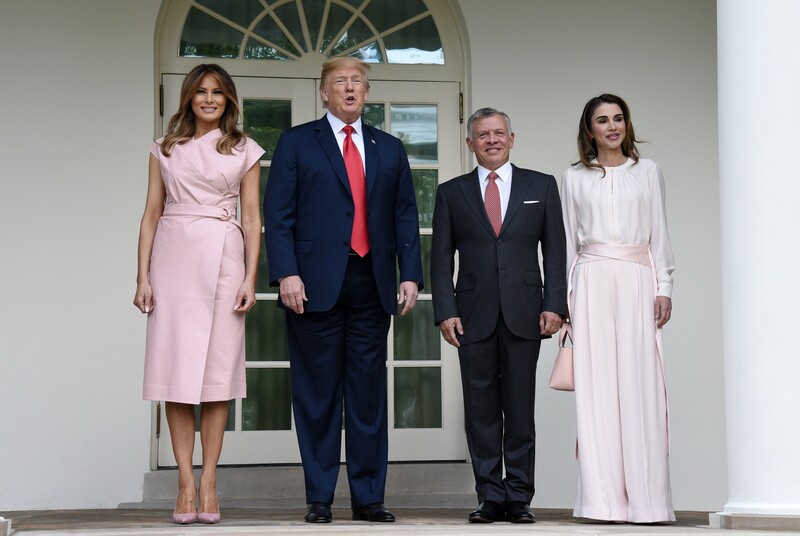 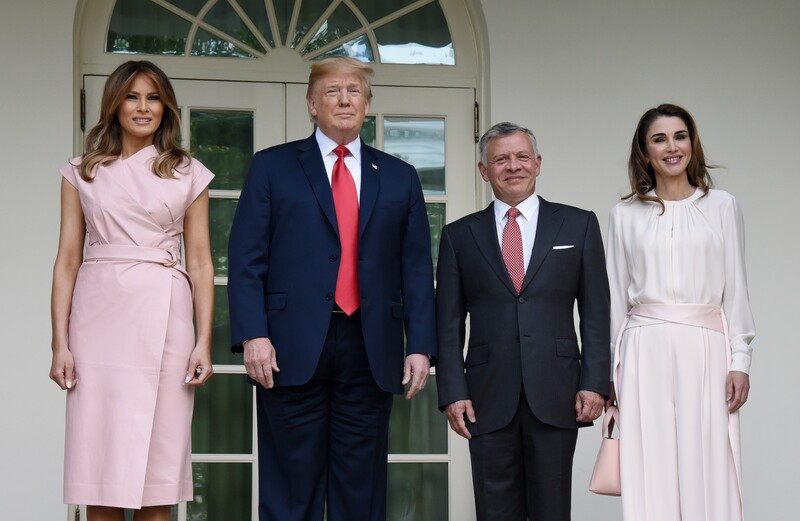 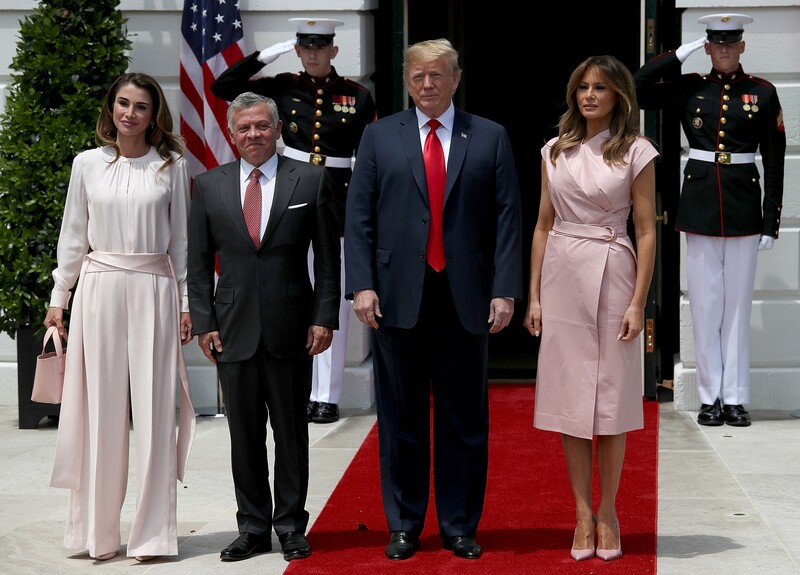 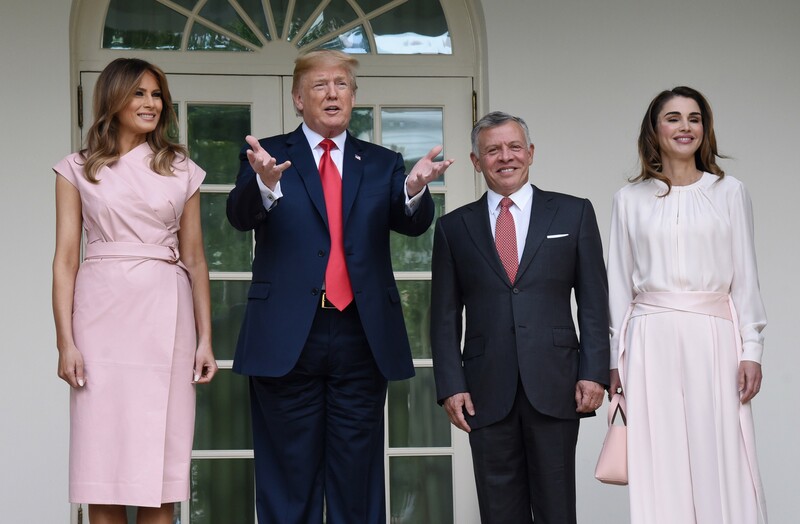 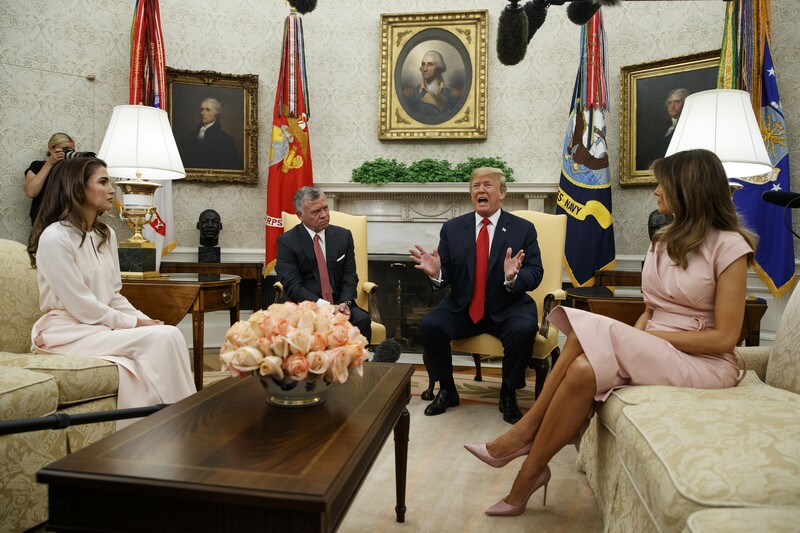 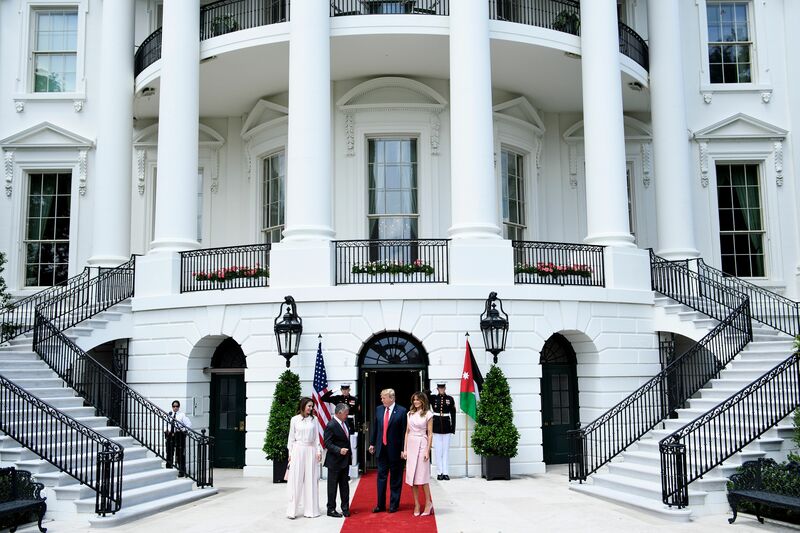 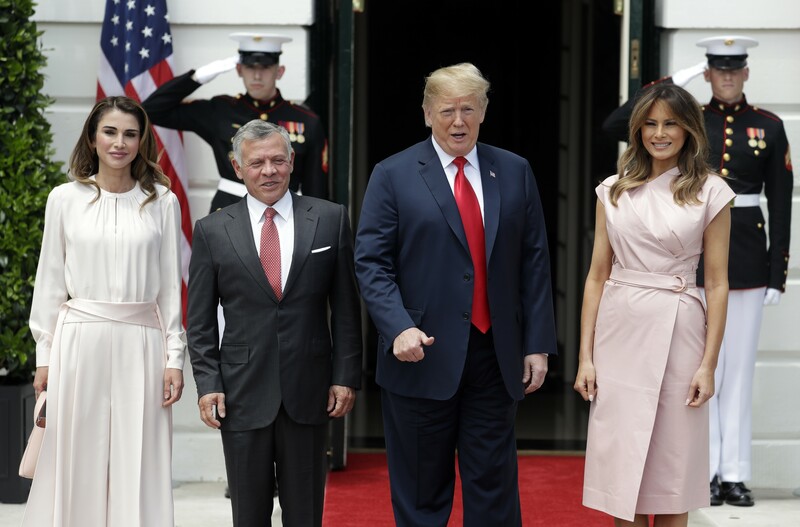 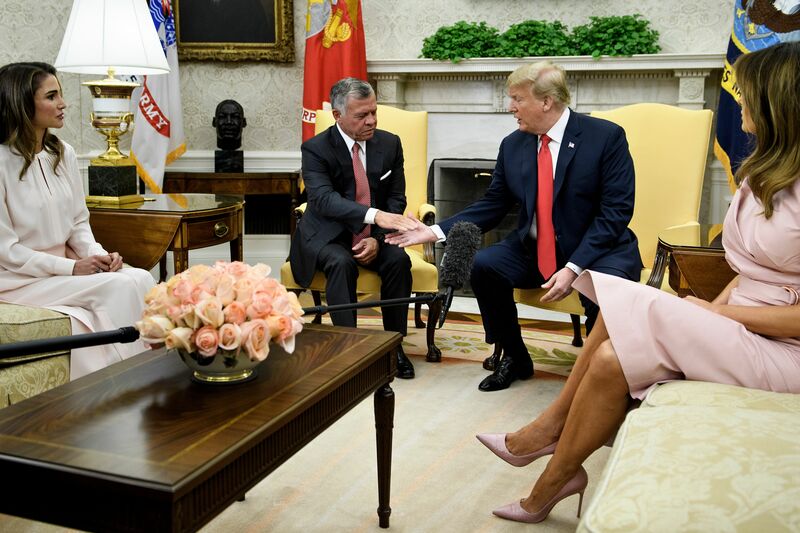 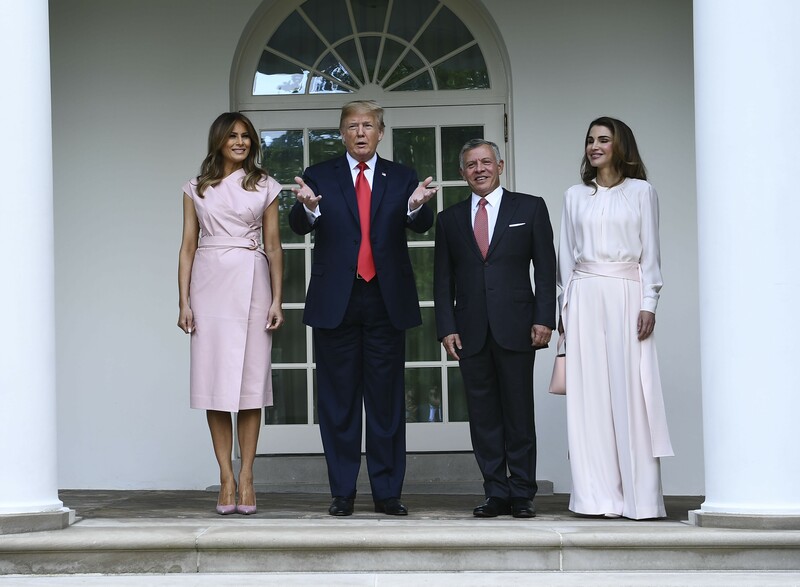 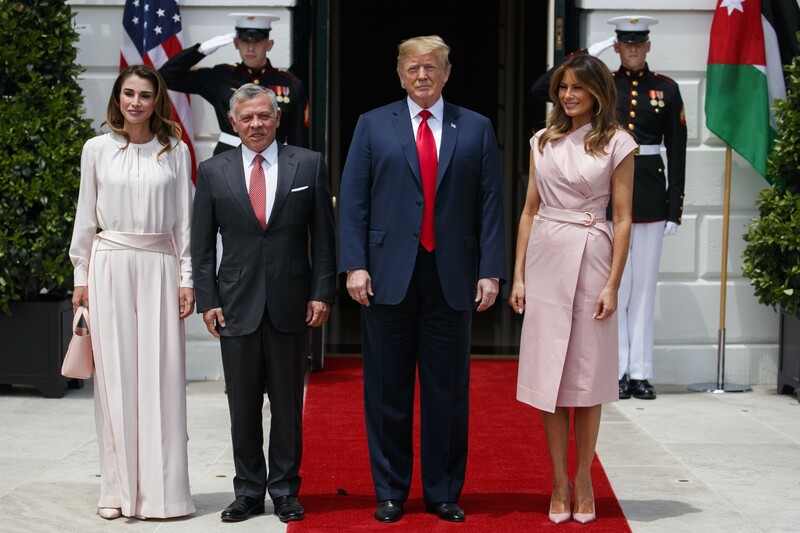 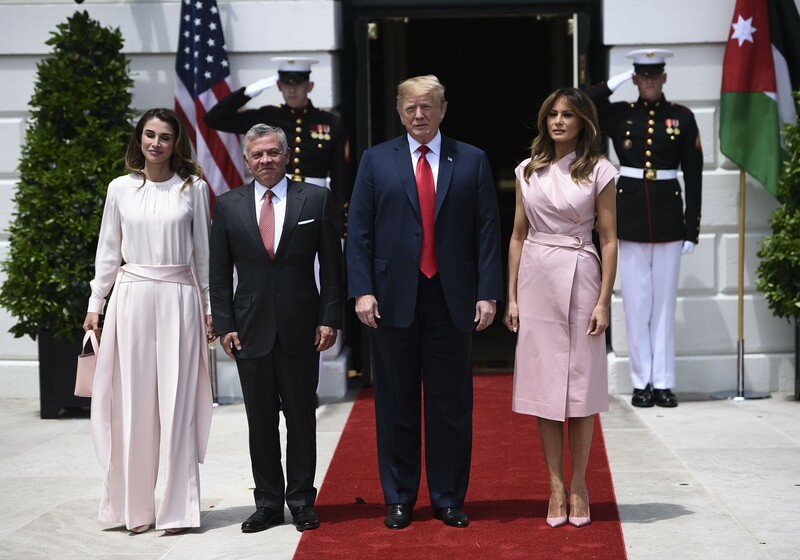 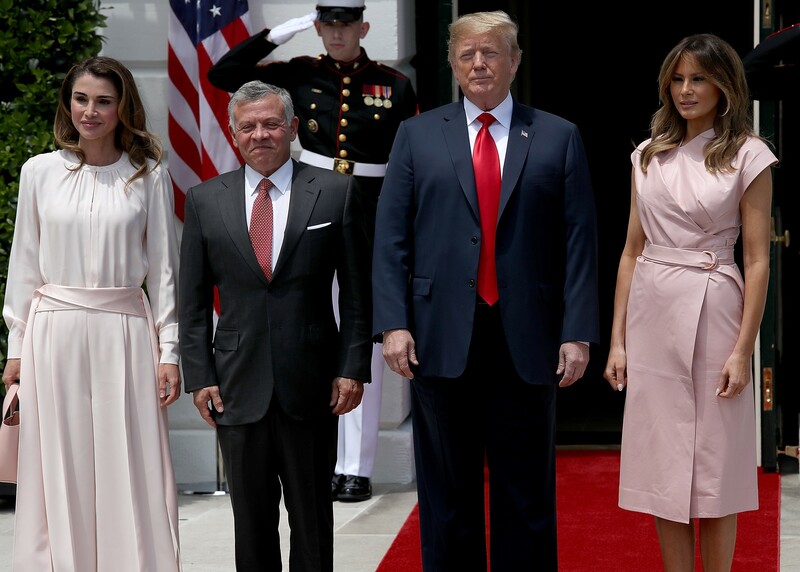 Mrs. Trump welcomed Queen Rania and King Abdullah II of Jordan at the White House, coordinating her pale pink leather dress with Rania’s blush pink sash and handbag. 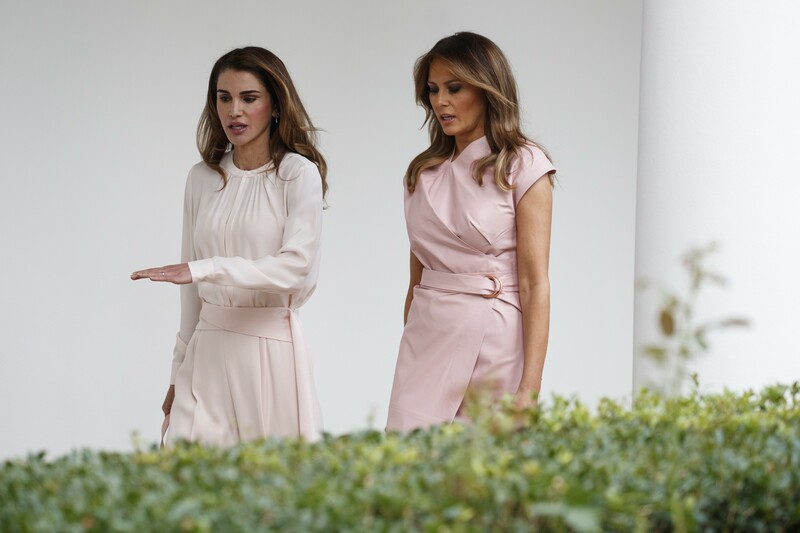 The Proenza Schouler dress worn by Mrs. Trump walked the runway in the design duo’s Fall 2017 show at New York Fashion Week. 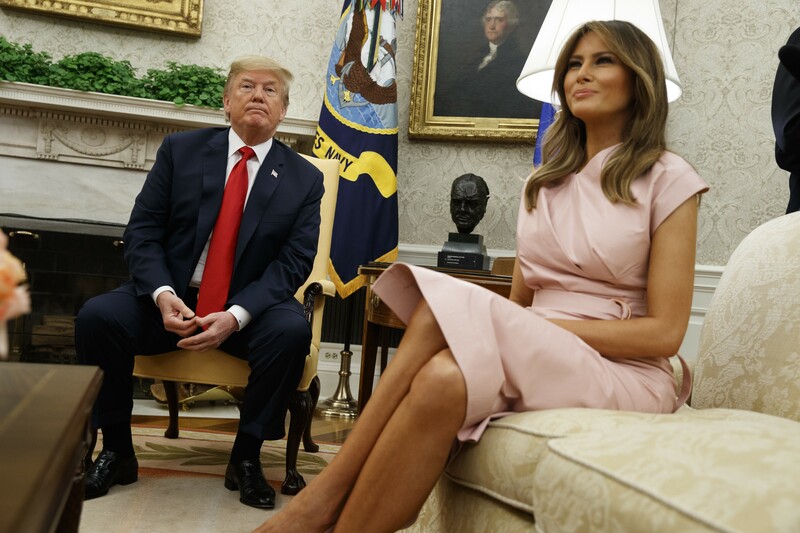 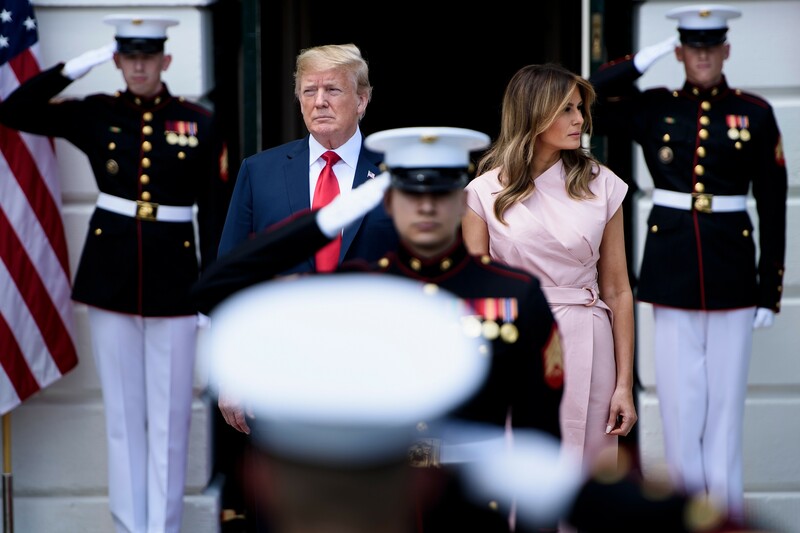 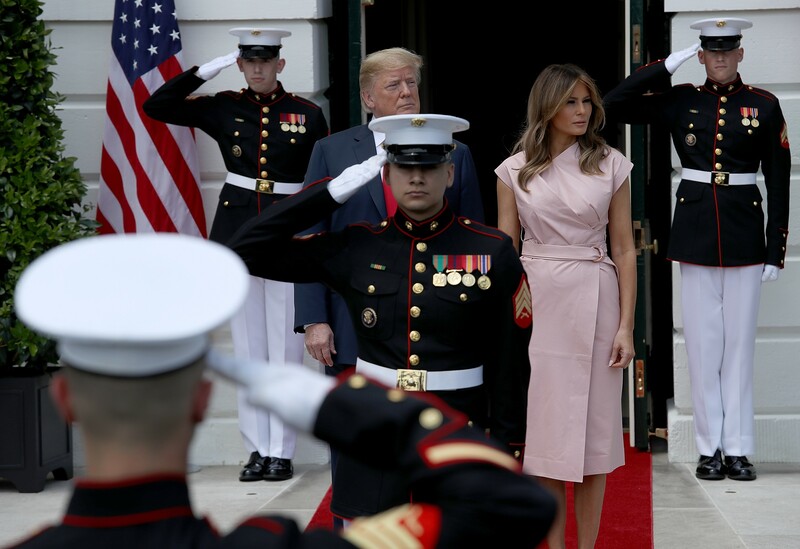 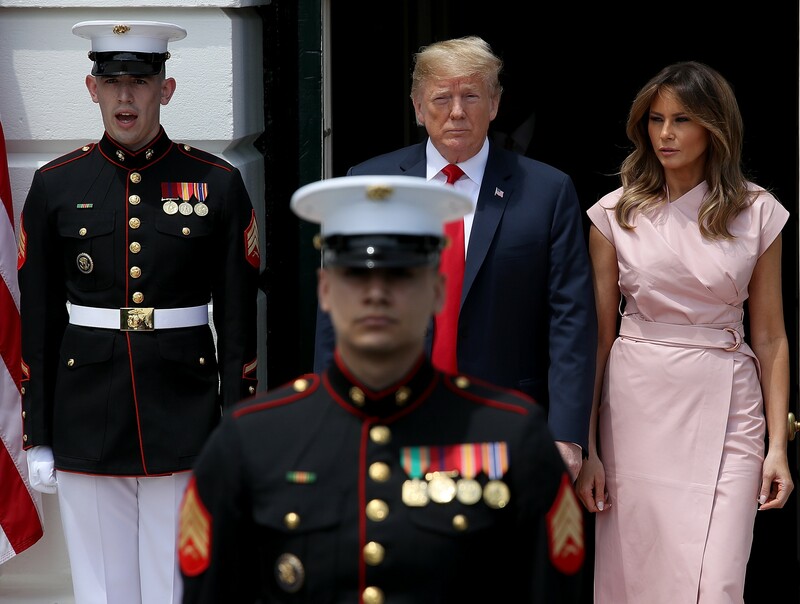 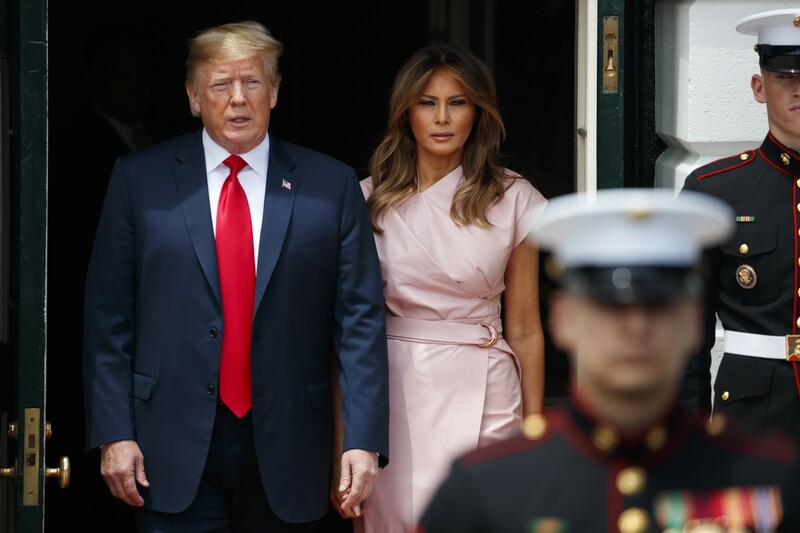 Mrs. Trump’s sheath midi dress features an asymmetric neckline, cap sleeves, a wrap-style bodice, and is made in America. 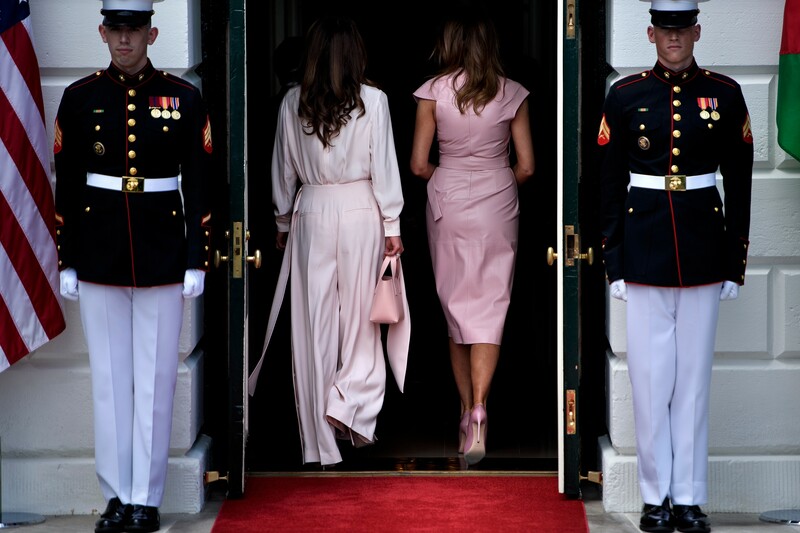 The dress is already sold out. 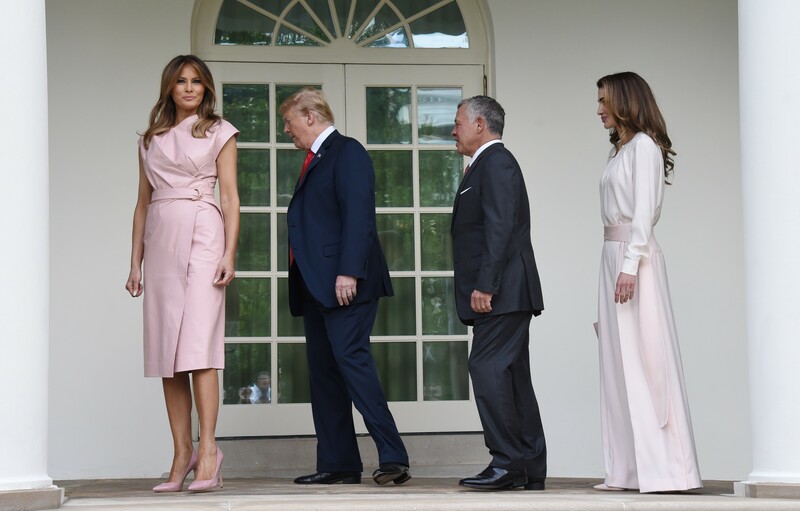 In her signature style codes, Mrs. Trump matched her dress to a pair of pale pink Manolo Blahnik stilettos and wore her hair in flowing waves. 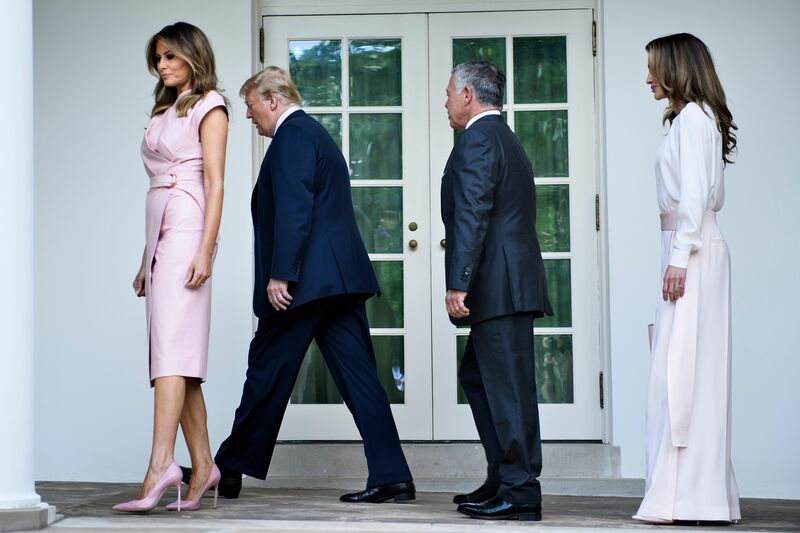 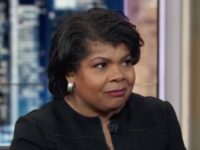 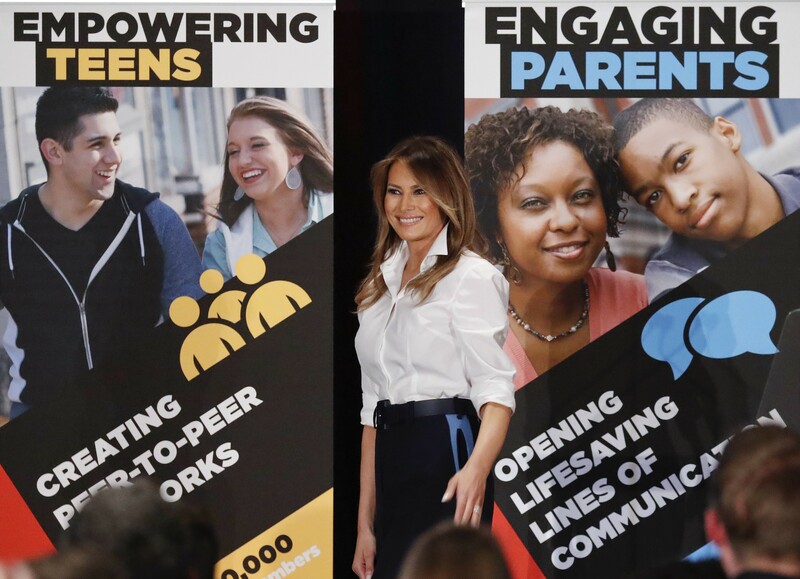 On Sunday, Mrs. Trump rocked a Calvin Klein pencil skirt and a white menswear-inspired button-down with white Christian Louboutin stilettos to attend a conference for American teenagers. 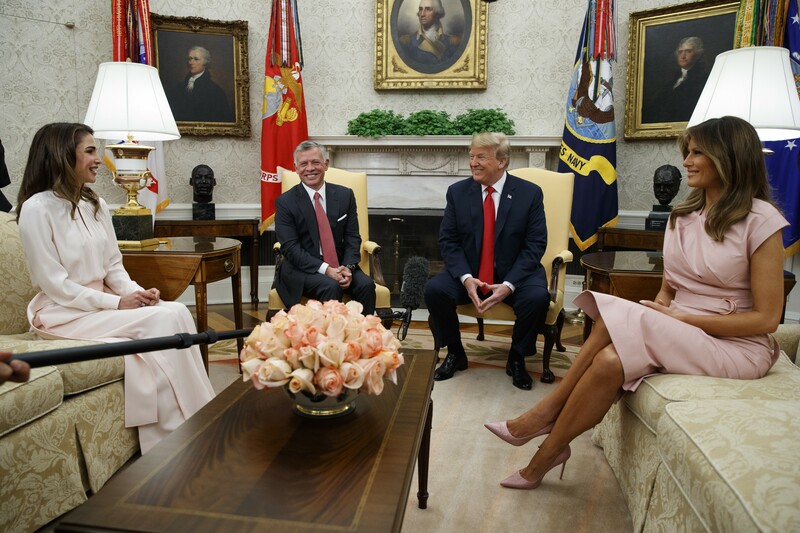 The Calvin Klein pencil skirt features sporty blue details on each side for an all-American vibe.